Want to reach thousands of people with a proven interest in literature? Want to do it on the cheap? You can reach this influential readership with a Co-Op advertisement. Outskirts Press handles all of the details. Co-Op Advertising allows you to secure premium, full-color exposure for your book in a high-quality trade publication for a minimal amount of money. 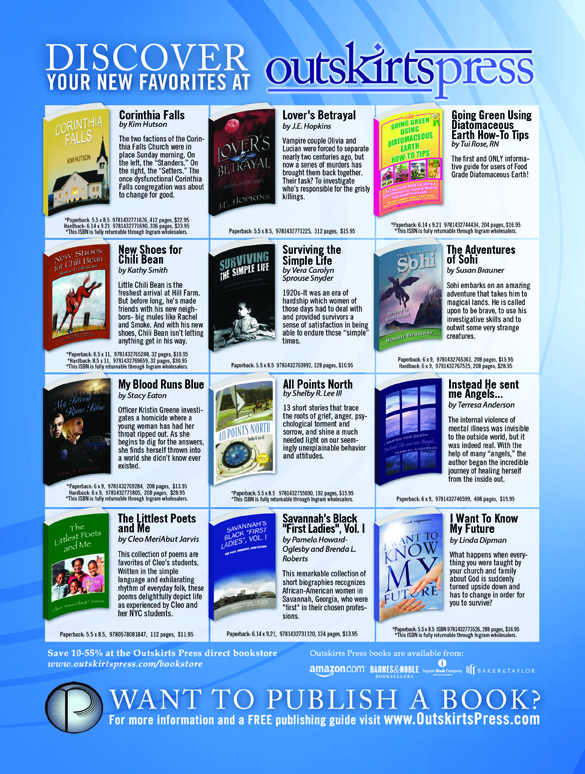 Your book will occupy a 2″ x 2″ space along with other titles within a full-color ad. Your ad space will include a full color cover image, an abbreviated synopsis, the ISBN, and retail price of the book. All books will include retail and wholesale ordering information. 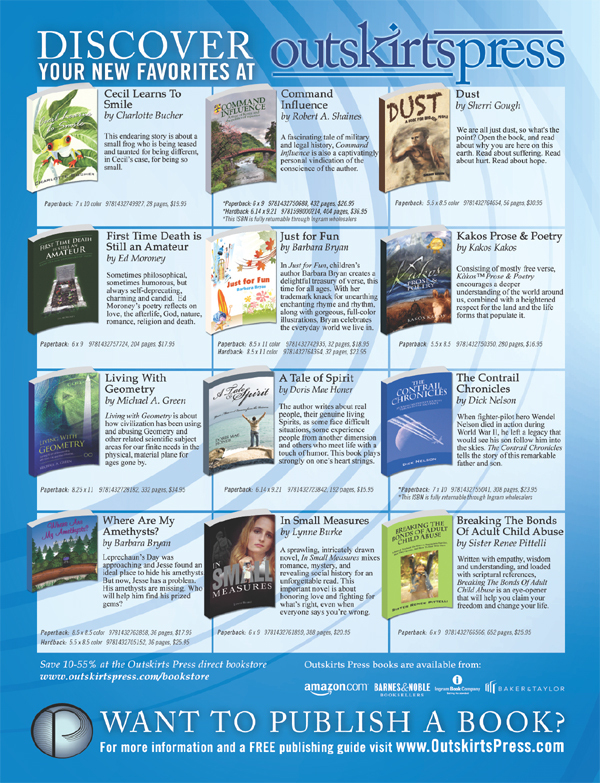 To get more information and reserve your space in a Publishers Weekly Co-Op Ad, sign-in to your Publishing Center. Reservations are taken on a first-come first-served basis based upon receipt of payment. Reblogged this on I was just thinking……..